Ten Friends Project | Assisting, Educating, Empowering! 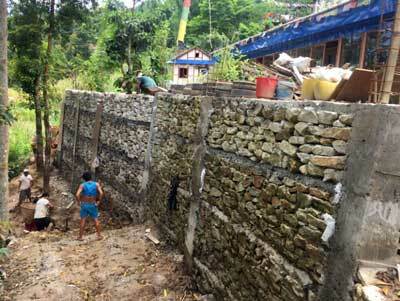 It’s the rainy season in Nepal and the retaining wall at the Himalayan Education Center is finished! The mammoth project involved moving an incredible amount of dirt and stone by hand. Thanks again to Adrian, Nicola, Patricia and the Kenneally Foundation. About 3 acres near the HEC has been leased. This allows them to grow more of their food and raise animals. The girls will learn about organic farming. We are seeking specific donations for the yearly lease for the land of $220 per year. What a bargain! Also, we’re seeking donations for 2 goats and some chickens for the HEC ($222). Delaney, Paloma and Jane just finished an inspiring trip to Nepal. They had raised money to create a library in the village of Thamku, Nepal. And they did it. Thanks to them! More information and photos about their trip, the newly leased land, and the mighty retaining wall are here. We are seeking monthy donations in any amount. 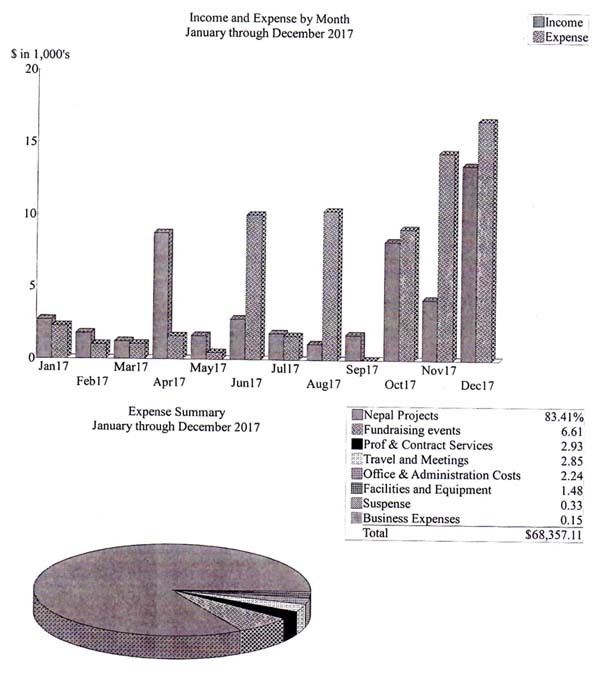 $10 per month is tremendously helpful for fixed expenses at the HEC, orphanage, and our other projects in Nepal. You can initiate monthly donations on our website at tenfriends.org. Please call Mark with any questions. Mountain Rug, owned by Mark, gives back 10% of proceeds to Ten Friends. The gorgeous Tibetan Rugs can be seen at mountainrugshop.com. Call Mark with any questions. Thanks for your time and support! Ten Friends is a non-profit organization formed by two teachers and a bunch of good friends. With your help we are improving lives with simple, hands–on projects that make a big difference to people in need. Thanks to friends and generous donors, our work in Nepal has been an amazing success. Please visit all of the links in this site to get a complete picture of what we are doing, and how you can become a part of Ten Friends. Ten Friends began when two teachers and eight of their friends spent a summer in Nepal. It is now hundreds of people who have been involved in our work. Every summer we travel to Nepal, often taking volunteer students or friends. Our first project was delivering stretchers to villages along the trekking paths near Mt. Everest so that injured villagers could be carried safely to hospitals. We have seen how poverty, government instability, or natural disasters make it difficult for people to realize their hopes and dreams. Children are most affected by these conditions. From the stretcher delivery project and other charitable opportunities that arose, Ten Friends Project was born. We are a 501(c)(3) non-profit and donations are tax-deductible. Ten Friends Project recognizes the human impact of economic hardship throughout the world. Our values are cultural respect, human dignity, increased quality of life, and environmental preservation. We are especially concerned with the challenges faced by children. These values will guide us as we seize opportunities to empower less fortunate people and enrich their lives. We all share a collective responsibility and together, with friends, we are prepared to act now.